Having reliable and stable power for your industrial grade converters is the best way to improve reliability and keep any down time to a minimum. Our safety certified AC to DC industrial power supplies are 100% compatible with all of our industrial grade switches and converters. They include the DR-4524 (Output 24VDC, 45W), MDR-40-24 (Output 24VDC, 40W), DR-120-48 (Output 48VDC, 120W), DR-120-24 (Output 24VDC, 120W) and the DRP-240-48 (Output 48VDC, 240W). 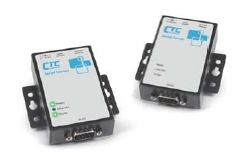 The STE100A RS232 IP Serial Server provides the serial device server for Windows hosts to control serial devices located virtually anywhere through a TCP/IP or UDP/IP connection. The IP Serial Server has the asynchronous serial port connection on one side, and a 10/100 Mbps Ethernet connection on the other side. It connects devices, such as CNC, weight scales, and scanners. Applications include industrial/factory automation, automatic warehouse control, and hospital/laboratory automation. The IP Serial Server Windows driver is designed to control the IP Serial Server devices. The driver installs a virtual COM on Windows which maps the virtual COM port to the IP address of the IP Serial Server device across the network, enabling the Windows applications to access remote serial devices over Ethernet. IP Serial Server can function as a UDP or a server or client for TCP connection. The application scenarios are direct IP mode, virtual COM mode, and paired mode. When in the paired mode one IP Serial Server must set as a client and the other must set as a server in TCP connection. 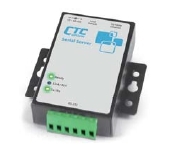 The STE100A RS485 IP Serial Server provides the serial device server for Windows hosts to control serial devices located virtually anywhere through a TCP/IP or UDP/IP connection. The IP Serial Server has the asynchronous serial port connection on one side, and a 10/100 Mbps Ethernet connection on the other side. It connects devices, such as CNC, weight scales, and scanners. Applications include industrial/factory automation, automatic warehouse control, and hospital/laboratory automation. The IP Serial Server Windows driver is designed to control the IP Serial Server devices. The driver installs a virtual COM on Windows which maps the virtual COM port to the IP address of the IP Serial Server device across the network, enabling the Windows applications to access remote serial devices over Ethernet. 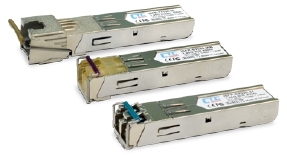 IP Serial Server can function as a UDP or a server or client for TCP connection. The application scenarios are direct IP mode, virtual COM mode, and paired mode. When in the paired mode one IP Serial Server must set as a client and the other must set as a server in TCP connection.